Do You Care about Garden Trends? 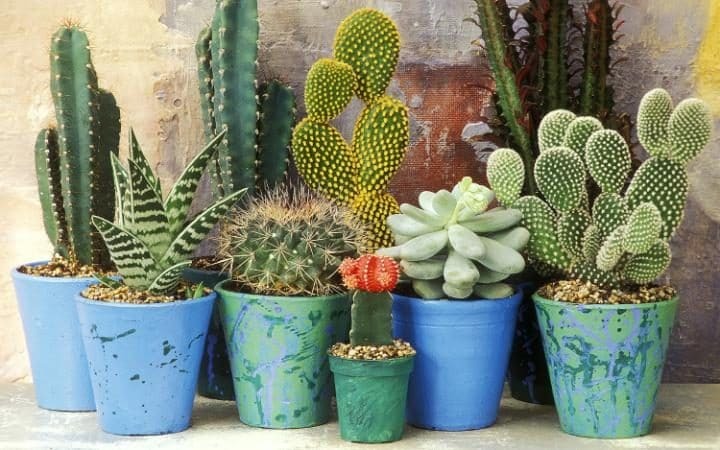 Do you pay attention to garden trends or do you think they are a pile of baloney? These articles appear in magazines, newspapers and on-line sites in countries around the world. Sometimes they are based on surveys, sometimes on opinions, sometimes on catchy phrases. Alliteration abounds. As do odd conclusions. I lifted this photo from an on-line article that ran in the English newspaper, The Daily Telegraph. So are journalists telling us something significant in their annual trends reports or are these pieces just lazy fallbacks? In the U.S., Garden Design magazine says that natural materials are in, which seems less like a trend than a necessity in a garden. Natural dye gardens, where plants are used to make dyes for colouring textiles, yarn, and clothing, are also touted. But who has the time (or inclination) to revive what sounds like a 60s throw-back, and not a very interesting one at that? In England, the Daily Telegraph doesn’t stop at the standard top ten trends but doubles up (doubles down?) to 20. New plants are there (natch) along with back to the basics. Add blander brassicas and I scratch my head. Which is it to be, novelty or the fundamentals, the exciting or the unobjectionable? Or am I being picky to think there’s a disconnect? Order, Disorder, Future: is this a disconnect? 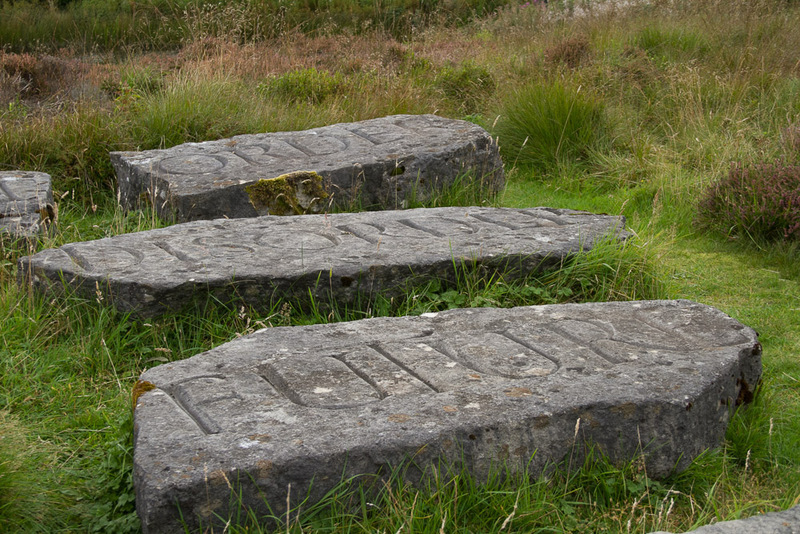 And can you arrange the words at Little Sparta to say whatever you want them to say? What constitutes a trend, and whose views determine what is or isn’t? Garden Design consults landscape architects and designers. 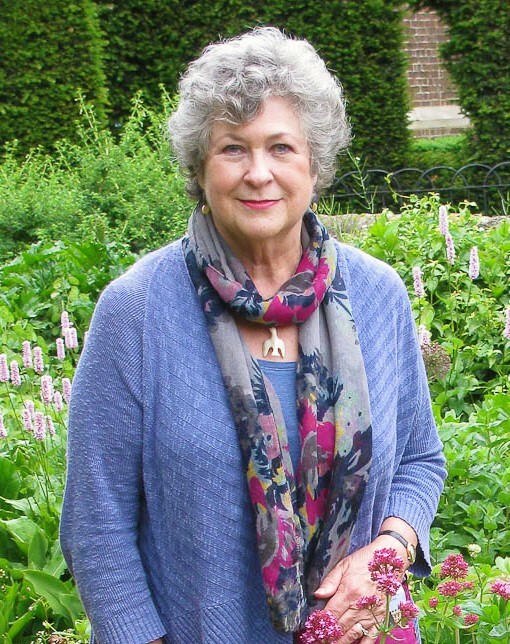 The English magazine Gardens Illustrated adds a horticulturalist, a critic and several garden educators. Together they bring many years of experience gathered from different contexts. Should I expect consistency in the trends they report? Londoners needn’t be good indicators for what is happening in Scotland; the same holds true for gardeners from the east coast to the west. Add national variations to the mix and significant differences should surely occur. To a certain extent they do. Minimalism and simplicity are said to be the trend in Australian gardens, urban jungles in the U.K., and mixing the old with the new in the U.S. 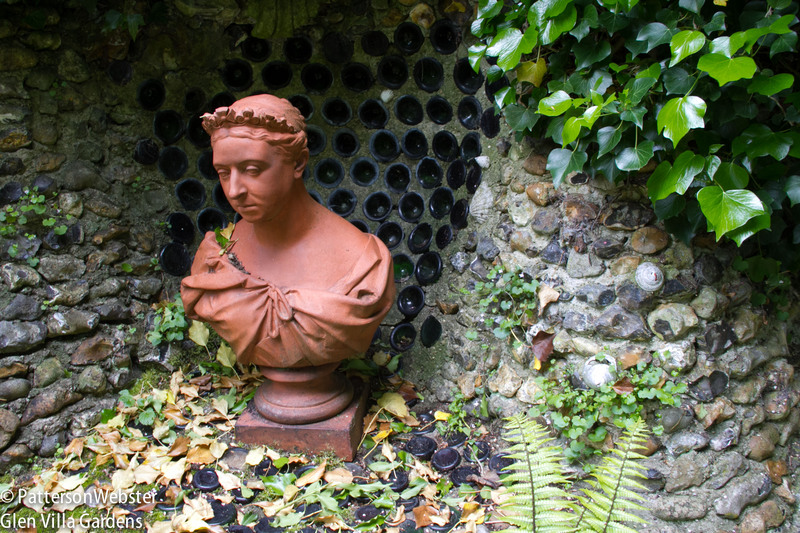 Recycled wine bottles provide a shiny backdrop to a bust of Queen Victoria at the Gibberd Garden. Does this constitute using the old with the new? But when overlaps occur, we can begin to pay attention. Whatever the source, and whatever words are used to describe the phenomenon, there is a generalized concern with plantings that accommodate climate change. 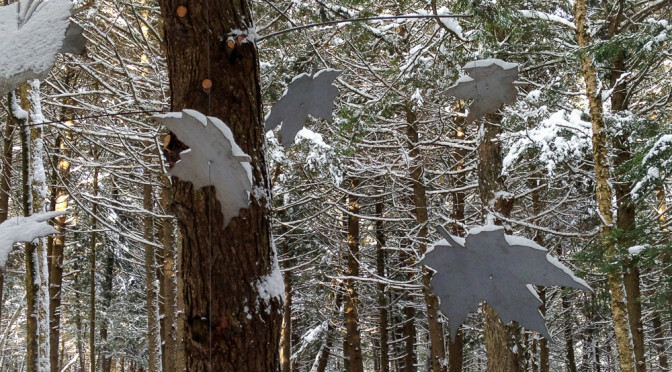 There is — and has been for some years — an interest in greater biodiversity and sustainability. Attracting butterflies and pollinators, using wildflowers and native plants, turning lawns into meadows, being mindful of the impact of our actions: these are trends that aren’t trendy fashions but essential actions. 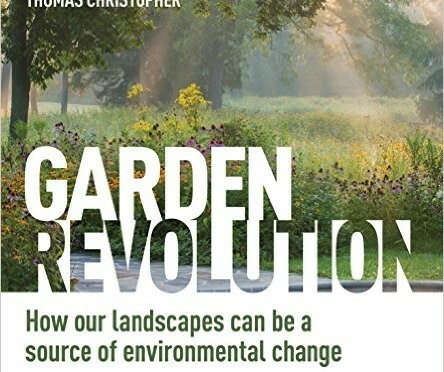 You may want to take part in a recent discussion about trends and movements in garden design. The debate focuses on New Perennialism and, specifically, the use of ornamental grasses and the designs of the Dutch plantsman Piet Oudolf as seen on the High Line, Oudolf’s iconic design for the abandoned railway line in New York City. Tony Spencer started the conversation with a post he titled Tempest in a Flower Pot. The discussion widened with a critical piece written by Bridget Rosewell for the English website ThinkinGardens, The High Line Revisited. Multiple points of view are expressed with style and passion, and the comments that follow make for provocative reading. Why not chip in? Happy Birthday to Site and Insight! This photo appeared in my first blog post, Introducing Glen villa. 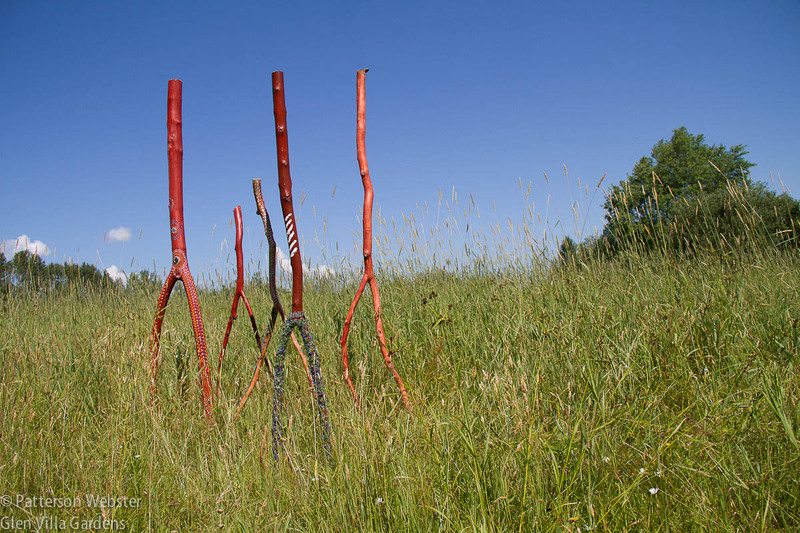 It shows part of Abenaki Walking, my tribute to the original inhabitants of the land where I live, the Abenaki Indians. This week I’m celebrating an anniversary. Four years ago I wrote my first blog post and since then I’ve written well over 200 pieces, averaging slightly more than one post per week. I’ve written about Glen Villa and other gardens in Canada, the U.S., the U.K., Italy and France. I’ve written about people, plants and plans, about art and garden design.. I’ve shared my ideas and I’ve asked about yours. To the many who have responded to blog posts through comments on this site or less publicly, I send a big thank you. I value your comments and appreciate the time we have spent on line together.